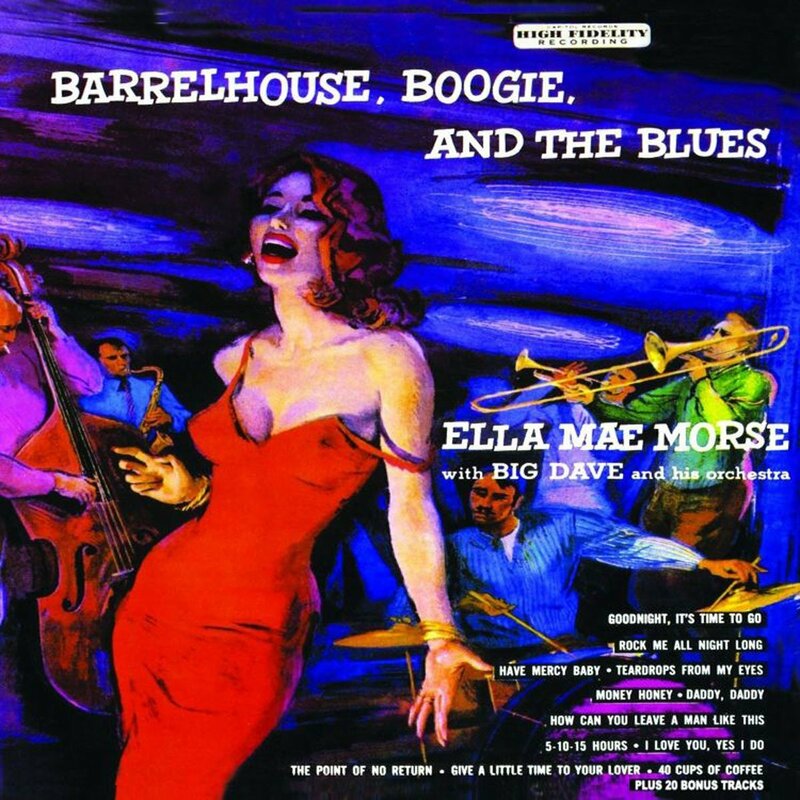 Ella Mae Morse – Some Broad! Boogie, Blues & Rock ‘n’ Roll Pioneer! One you’d think twice about going into. Smoky, dimly lit. The clink of glasses. In the background the sound of a Jukebox. ‘The suit don’t fit so good these days. If you tussle with Tojo you’re apt to drop a few pounds. Which is more than you can say for Kelly, Kowalski and Sanchez. They wont ever see Memphis or Macomb or Marshall again. One thing I can tell you I ain’t never going back to Omaha. I’m going to sit right here and drink until they throw me out of here and come back tomorrow and do the same again. The best thing about this bar is that they leave you alone. No one wanting to hear your life story if it’s about anything other than booze or broads or sports. You can tell without asking who’s seen action. It’s in the eyes. The most athletic thing I do these days is dance. When I get the chance. Since I got back I been doing some catching up on the music scene. The Jukebox here is stuffed with those records made out here on the West Coast. Now, some days I ain’t exactly bursting with energy. But, I find a handful of Nickels and The Jukebox a pretty good cure for all my ills. And, there’s this singer, Ella Mae Morse. She can sure shake a tail-feather. And she can sing just about anything. Swing, Ballads, Blues, Country tunes and that Boogie-woogie. Sometimes she seems to squeeze ’em all together so she’s singing like no one you’ve ever heard before. If you were listening on the radio you’d be hard pressed to know whether she was white or black. She gets my nickel every time. Ain’t no fighter like Joe Louis. Ain’t no Ballplayer like Ted Williams. Ain’t no singer like Ella Mae Morse. I gotta tell you if she snapped the whip I would make the trip and no mistake. I gotta feeling I’m goin’ to be listening to Ella Mae for the rest of my days. Here, time I was hitting the mattress. Have a handful of Nickels on me. This one here from ’42, ‘Cow- Cow Boogie’, was just about the first record out on Capitol and the first record for Ella Mae. They couldn’t press enough! Get along, get hip, little doggies indeed! A Number One million seller! Capitol Records well and truly launched. Ella Mae was only 17 and this was the first take. 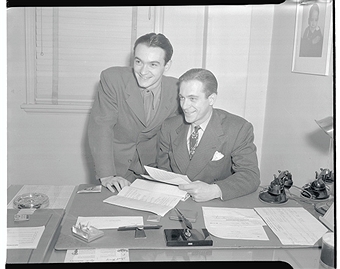 Johnny Mercer (who knew a thing or two about songs and recording) quashed her protests that she could do better by flatly stating – you can’t, nobody could. That’s the great Freddie Slack on piano. The song came courtesy of Boogie-woogie guru Don Raye and Gene De Paul. Jazz giant Benny Carter had a hand in it too. From the get go you can hear that Ella Mae has just got IT. Man, has she got IT. She was born in 1924 in Mansfield Texas. Her father, an Englishman was an accomplished drummer who may have gifted her a way with rhythm – but he didn’t stick around long. Ella Mae and her mother, a fine pianist, moved to Paris Texas in the early 30s. Growing up she listened and sang every kind of music and from the age of 9 she was up on stage performing. In 1939 she joined Jimmy Dorsey’s Band but as he found out though Ella Mae looked every inch a woman and though she sang with astonishing maturity she was in fact only 14 years old. 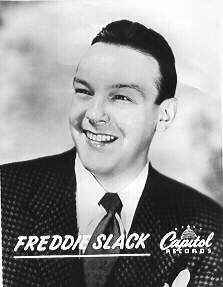 Freddie Slack, then in the Dorsey Band, remembered her when he was signed to Capitol in 1942. And, the rest, is as they say, History. It was hard for Capitol to know how to frame Ella Mae’s career as she straddled so many styles and genres. Making superb sides was the easy part (checkout, ‘Buzz Me’, ‘Get On Board, Little Chillun’ and ‘Patty Cake Man’) finding a marketable hit was more problematic. In 1946 she was reunited with Freddie Slack and together they made a record which must have set Richter dials quivering, ‘The House of Blue Lights’. That’s Don Raye duetting with Ella Mae on the jive talk introduction. From then on it’s Freddie’s fleet fingers, a solid gone rhythm section and sultry Ella Mae wailin, scattin and generally setting the world on fire! I don’t know about you but as soon as this starts up I’m lacing up my boots and getting ready to broom on down to my local knocked out shack on the edge of town. Hep musicians recognised a classic when they heard one and covers of, ‘Blue Lights’ must number in the hundreds (my favourites being those of Jerry lee Lewis, Asleep At The Wheel and Chuck Berry). Some sages say you can clearly see Rock ‘n’ Roll emerging in the grooves of, ‘Blue Lights’ and they won’t find me starting a fist fight about that. As the 40s closed out Ella Mae continued to record arresting sides for Capitol (‘Pine Top Schwartz’ and, ‘Pig Foot Pete’ demand your attention) before retreating from the music business while she married and raised three children in short order. She was back in 1951 with another prime slice of proto Rock ‘n’ Roll – a cover of Jack Guthrie’s 1947 hit, ‘Oakie Boogie’. The Orchestral backing was under the baton of Nelson Riddle and Speedy West played typically brilliant pedal steel. 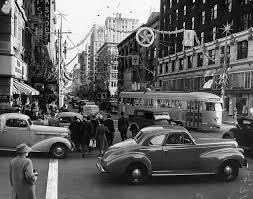 Whatever the tempo with Ella Mae you know you’re in for a deluxe trip. The musicians behind her must have thought; right guys let’s really tear it up this gal can take care of herself. Boy howdy were they right! In 1952 she had another million seller with, ‘Blacksmith Blues’ utilising the combined skills of Billy May and Nelson Riddle. 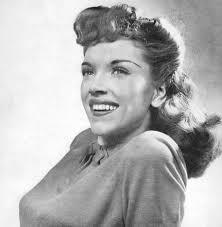 In 1953 she recorded a knock out, hopped up, track called, ’40 Cups of Coffee’ which has always been a winner for me. Truth to tell when Ella Mae steps up to the microphone I can’t imagine needing any kind of stimulant. She made over proof records that’ll have your head and heart spinning every time you hear them. In 1954, a dozen years into her recording career Ella Made made one of the first and, let’s not beat about the bush, one of the greatest Rock ‘n’ Roll era albums of all time, ‘Barrelhouse, Boogie and the Blues’. This is an astounding work demonstrating that Ella Mae had all the sass and style of the very best rhythm and blues singers. It was way ahead of its time and for a white woman unprecedented and I would hazard still unequaled. Foced to choose just one gem from this treasury I’ve selected the epochal, ‘Rock Me All Night Long’. Who could resist such an invitation? Not me Bub! And, that was more or less that. 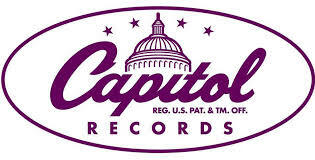 Ella Mae had more children and her 15 year recording career with Capitol came to a close in 1957. 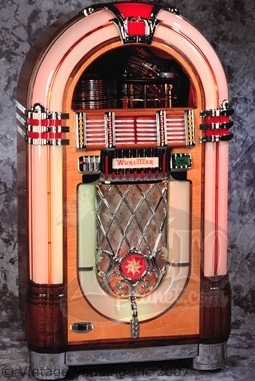 But, without doubt the music she made there will always live wherever a Jukebox is plugged in. When Ella Mae calls the plays you’d be mad not to dig her ways! Bear Family and Rev-Ola have fine single CD compilations of Ella Mae’s Capitol years. Being the besotted fan I am I couldn’t live without the magnificent 5CD 134 track set produced by Bear Family in 1997. Go on treat yourself! It is also well worth checking IMDb for her appearances on film as an actress and as featured singer.